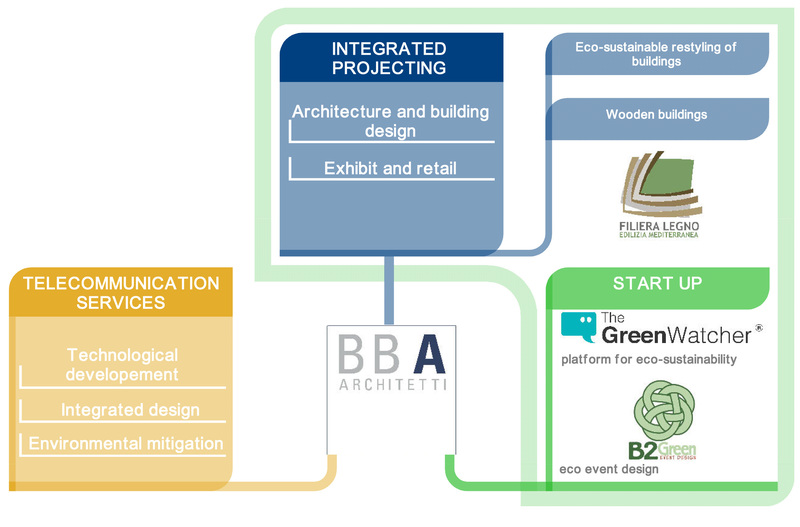 BBA-Architetti & Partners s.r.l. is a Design Company that offers integrated services implemented by creativity and research. The team is characterized by the cross application of environmental sustainability principles, through a network of selected partners and a structured cooperation with institutions. The Company offers integrated services for architecture and building design, interior design, retail design and exhibit design, with bespoke services and turn-key solutions. Design around people – is the synthesis of our working method: thanks multidisciplinary and collaborative approach of its network, BBA-Architetti & Partners is able to provide reliable and timely answers to the management of complex design issues. Creative process is fully customized and is developed through dynamic tools for design control: the use of BIM technology (Building Information Modeling) allows BBA-Architetti to manage the project through 3d models of architectural, structural and installation data.